Let us suppose you want your grandparent to only use mail and touch nothing else on your PC. Or let’s say you want to use only one game on your PC and leave every other thing intact. Assigned access in windows 10 is a very useful feature for this purpose. 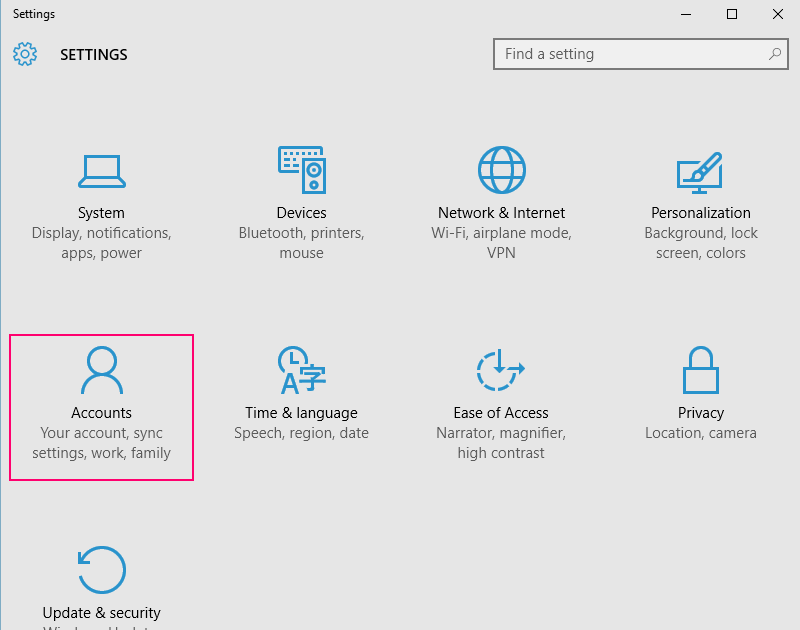 In Assigned access feature, you can limit any guest account on your PC to use single app only and come out. It is like going inside a hotel with a single key and rights to use one room only. let’s say you have a computer kept in public spaces meant for using internet only. 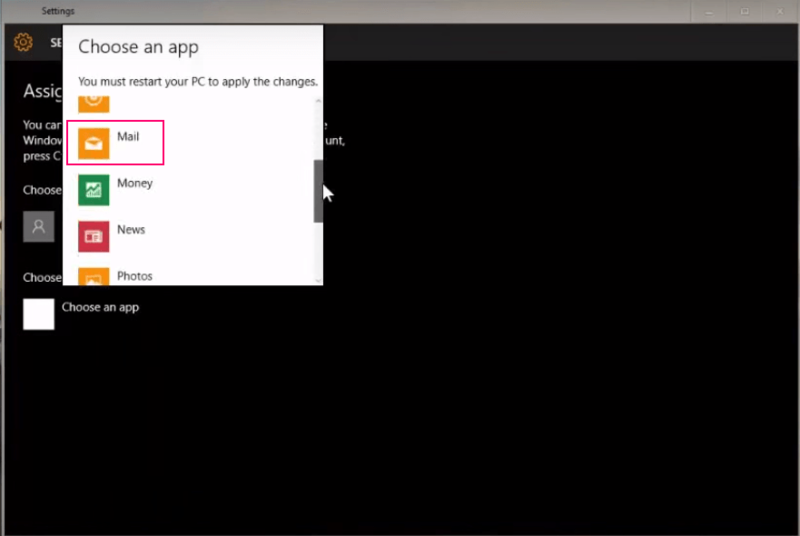 you can install a browser app from windows store and then set up assigned access for guest account so that they can log in and use only one app that is browser for using internet. In this way your important files and softwares will remain safe. Step 1 – First of all create a guest account. Step 2 – Now, open settings control panel. For opening settings control panel, either press windows key + i or click start key and then click settings. Step 3 – Now, in right sidebar, click on Family & Other users. Now, click on set up assigned access as shown in below pic. Step 4 – Now, click on Choose an account and select the guest account which you want to use with assigned access. Step 5 – After you have selected the account , now choose the app which you want to provide the rights for. Here i have chosen mail app. That’s it. 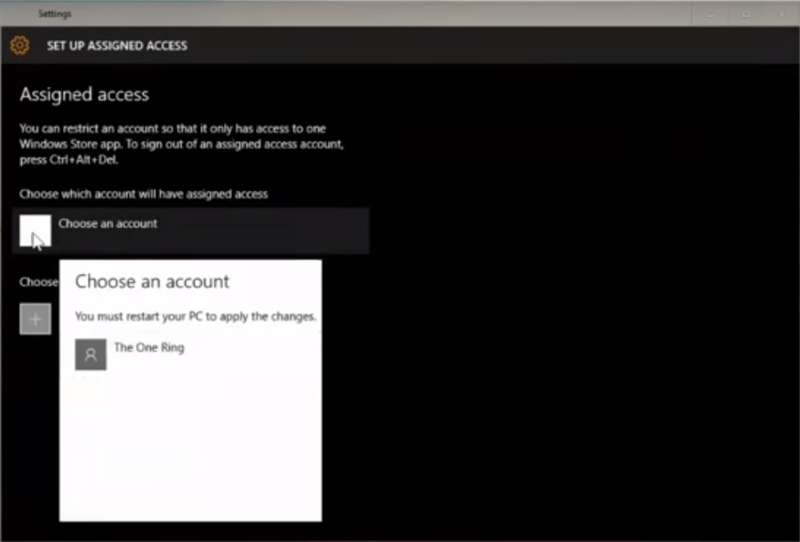 Now, shut down and log back in to use the assigned access account with access to one app of your choice. What about those apps which are not present while choosing apps for assigned access. For example, what if you want the guest to use facebook only and then log out of the system. Well, you can download and install facebook from windows store. 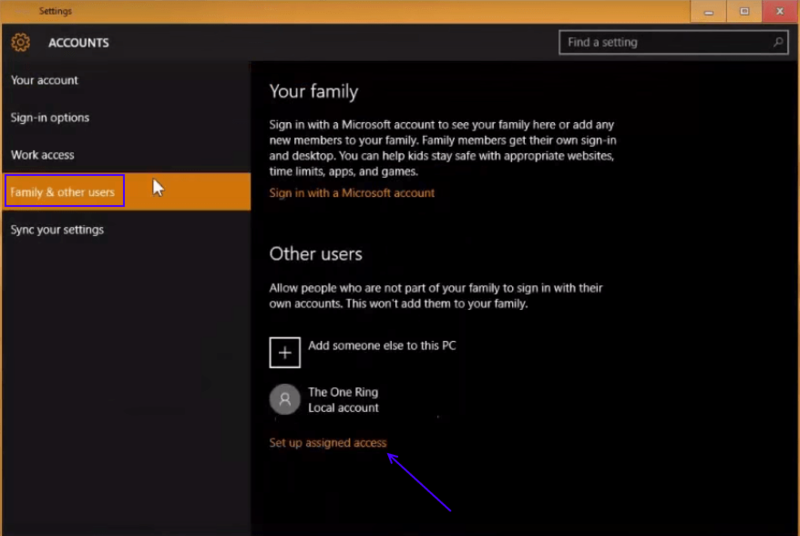 According to Microsoft engineers there is no such thing as a guest account in windows 10. I would be interested to know how you achieved this as I have tried all the known methods of implementing this account unsuccessfully. I can create an assigned account from a Standard one but a guest account would be better if possible. Assigned access in only available in windows Pro and not available in windows 10 standard versions.